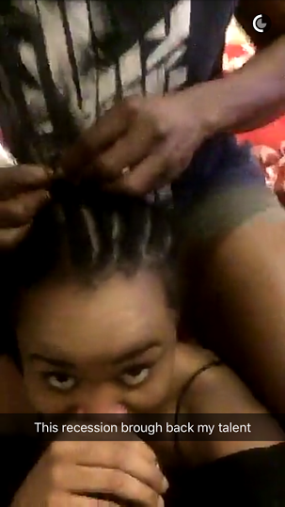 Media personality Ebuka Obi-Uchendu shared a cute video of himself braiding his wife Cynthia’s hair into cornrows, via Snapchat. According to him, it’s one of his talents & the current economic recession brought it back out. Lol. 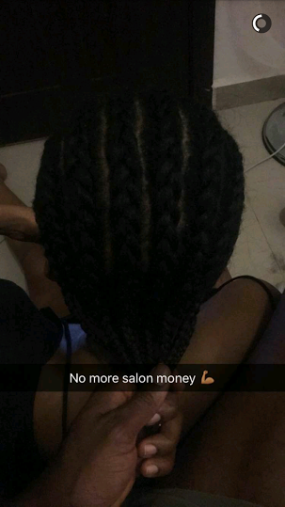 When Ebuka was done, he shared a photo of the finished work and wrote, “No more salon money”.